Rachael Sherman serves as Manager of U.S. Supply Chain Sustainability , within the Supply Chain Management department reporting to Susan Forsell, Vice President of U.S. Sustainability. In this position, Sherman is responsible for coordinating programs and initiatives related to integrating supply chain strategies into sourcing and logistic strategies. She provides expertise and support for both the supply chain team as well as supporting suppliers on their sustainability journey. In addition, she manages metrics, scorecards and reporting, project management , and education. Sherman has been leading global environmental scorecard work, helping launch the company’s food donation pilots, and working with the U.S. and global team on criteria for coffee verification programs. 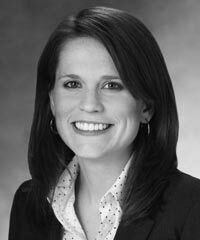 She is also a leader of the National Supplier Leadership Committee (NSLC) Brand Trust team.